Wine made from the same types of grapes tastes different from region to region; Paul Pomerleau, manager of Nutrinor Co-op in Alma, Quebec, says milk does, too. The co-op has been selling milk that’s been certified as produced solely in the Lac-Saint Jean/Saguenay region of the province as Lait AgroBoreal (Nordic Milk) since 2014. It’s so phenomenally popular with consumers in the province that it has captured 35 percent of the market. There‘s a lot of competition in dairy markets so it’s difficult for midsize processors, like Nutrinor Co-op, to generate much profit selling regular 2 percent milk, Pomerleau says. So the co-op made a decision to find ways to differentiate their products and develop premium offerings to capture better returns for the farmer-owners. 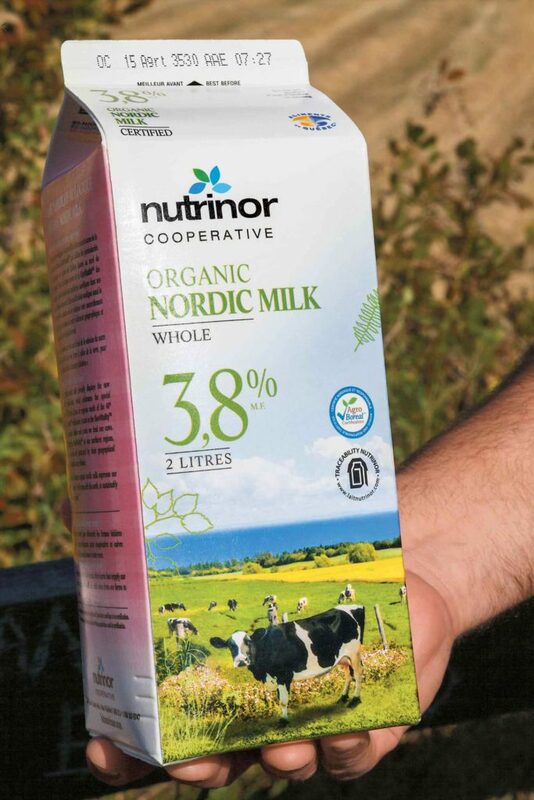 Consumers can see photos and read stories about the farm that supplied the milk in their product simply by entering the best before date into a form on Nutrinor’s website. Feed regimen. The difference stems from how the 20 certified Nordic Milk producers feed their cattle, Pomerleau explains. Under the protocol, the farm must be located north of the 48th parallel in the province; all feed must be grown in the region too. Only limited amounts of corn and soybean can be included in the diet, so its largest component is alfalfa silage. The Lac-Saint Jean Saguenay region is renowned for its long summer days and cool nights. This affects the photosynthesis in the plants. 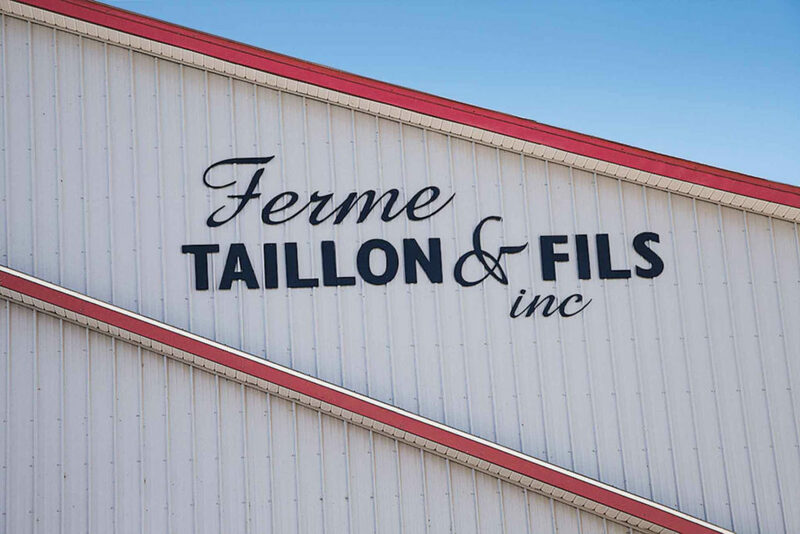 The Taillon brothers had converted to an alfalfa and forage based organic milk production system in 2006, Daniel says. So it wasn’t too difficult to adopt the new protocol. He feels that it was one of the smartest decisions they have made on their farm. The traceability system that underpins the Nordic Milk protocol also gave them a way to build connections between their customers and dairy farmers who produce it, Pomerleau says. They’ve developed a system that can track every truckload of milk as it comes into the processing plant through to the final products. Since they know which farms a truck picked up from on any given day, they also know where the milk that goes into every product comes from. This lets consumers learn where the milk product they purchased came from just by entering the “best before” date off the carton into a form on their website (laitnutrinor.com). It redirects them to photos and stories about the farms that produced the milk. That’s important because consumers want accurate information about where their food comes from and how it’s been produced. Fifty years ago, everybody had farmers in their family but that’s not the case anymore. Canada is now one of the most urban nations in the world so most people today have little opportunity to visit farms and to talk to farmers. But at the same time their interest in food has never been greater. Farmers don’t understand what the customer expects from them either, Pomerleau adds. They expect good products but every company has good products or they wouldn’t remain on the shelves. So customers also want to know how a farm treats its cows and if it’s a family farm or a corporate farm. The tool generated a lot of traffic on the website when it was first launched back in 2014. It remains one of the most popular pages on their website.